This blog is helpful for gate online preparation. We provide gate study materials, short notes, video lectures which covers entire syllabus of gate. BARC interview is toughest technical interview of the country.But is it so tough that average students cannot crack? The answer is No.If your preparation is right then definitely you will crack it. But the question comes, how one should prepare for it.Preparation consist of 3 parts. I will discuss all of them in details which i followed. And also all the technical interview process (Ex:ISRO,DRDO Etc.) are same like BARC . Heat transfer-Cengel , Strength of Material-James. M .Gere and Goodno , Thermodynamics -Cengel , Fluid Mechanics-Cengel, Engineering Mechanics-H.C Verma and Bedford Fowler. But only discrete topics should be studied from these book ,not the whole book.Examples given in book of relevant topic discussed below must be analysed. As in my case same concept was asked from example of GERE. NPTEL Videos- They are beneficial but watch some of them and not all as it is beyond syllabus sometime. S.K Som videos on FM HT THERMO are best and S.O.M lecture of kgp( not roorkee). Watch them by fast forwarding. Only watch videos of topic mentioned below. In any topic if you find a graph then thoroughly try to understand it,such that you can teach small details to anyone.Their approach is to link all graphs to basic physical or subsidary laws(Ex:Fourier law,etc. ).They don't want exact answer,only your approach is important. Even if you give right answer but not able to explain reason . It will create bad impression. They can sometime ask to derive basic formulas. They will ask you to write assumption in different cases while deriving. One should not appear vague during explanation. As it will be fiasco for you. HT- Conduction(All the Equations and Boundary Conditions),Convection(Newton law of cooling,Forced and Free convection,Heat flux and Constant temperature B.C),Radiation(Rarely asked)Heat Exchanger(Shell side and tube side fluid ),Transient Heat conduction,Boiling(Boiling curve details) and condensation. Physical significance of dimensionless number(Pr,Nu,Re etc. ).Heat flux and Temperature profile in every case. S.O.M- Tensil testing(Every details like loading & reloading effect,Al and Mild steel curve,toughness,resillience,hardness,true and engineering stress +derivation), SFD and BMD of Indeterminate structures and structure of different shapes, Bending stress and Shear stress variation in different cross sections(Ex: H and I shape),Derivation of Bending formula,Torsion formula and Shear stress-Shear force relation formula,Centroid and Moment of inertia formula derivation(Ex:Cylinder,Hollow sphere),Pressure Vessels formula derivation +Thick and thin vessels (different stress variation), Beam design procedure, Columns(Different B.C derivation like both end hinged and details about euler theory), Failiure theory details. Thermodynamics- Two compartment of different gases(What will happen when allowed to mix,final temperature and Pressure,entropy change etc. ), Piston cylinder arrangement(With spring attached ,final pressure temperature volume after Q heat given, behaviour after insulation, acceleration and velocity variation with time of heavy piston if turned upside down,temperature variation along length),Different thermodynamics laws with application etc. , Different cycles with diagram and curve on T-S P-V T-V with explanation about each curve. Fluid mechanics- Velocity and Stress profile in laminar flow and effect of viscosity on these profiles. Moody's chart( applications,graphs and limitation) , Bernoullie equation(Assumptions and applications), Venturimeter,Orificemeter,Rotometer,Pitot tube,Different questions on discharge and velocity of oil and water flowing through hole made in container filled upto height H(projectile motion concept required),time to empty tank of different shapes(cylinder,frustum and sphere) and height reached if top surface is closed and ongoing process(why isothermal and not adiabatic?). Engineering Mechanics-Friction concept(Static and Dynamic), Acceleration of different weight attached through string, velocity vs time given and acceleration vs time can be asked or vice-versa or distance vs time can be asked. FBD drawing and projectile motion. 2.Past year interview analysis: This is the most important thing that will guide your preparation. Keep searching through every website for past interview experience and practice their questions and anlyse them because you will do the same on interview day. This will not let you deviate from topic that is expected from you. 3. Strategy while facing interview: Keep one thing in mind that no one can answer 100% (I did 70%) ,so no need to panic if you don't know, clearly say don't know(I said that 6 times).But not everytime ,atleast try to make approach and write related equation but they will ask explanation about it so be prepared for it. While explaining don't use vague term. I used heat flux term while explaning temperature profile ,so they told me(tumko heat flux se bahut pyaar h ,chalo uska variation banao) to draw heat flux variation and i drew that approximately. They will provide hints sometime. But will cross questions at every answer given by you. They will also confuse you. In my case they asked are you sure about mohrs circle you have drawn(i said “yahi hoga ” then he became silent). Be confident and never spill garbage from your mouth ,always give explanation logically. Be confident . I prepared for 35 days(5hr per day) and got selected. NOTE: If you find any whatsapp group for BARC interview preparation , join it and actively participate in discussing questions. This helped me a lot. You can get such group in BARC OCES/DGFS facebook page. Reached the interview place at 8.30 A.M. (reporting time). After check-in, gone to BARC training school building. There they gathered all the people in one hall (very well organized, as expected from a reputed organization). There they did the document verification and all. Gave students number according to which they will be appearing for the interview. My number was 9 and there were 4 rooms where simultaneously interview was taken. Member 1 : So your name Sachin Shinde right? Member 2 : Please be seated (as I was standing beside the chair). Me : Thank you, sir. Member 1 : So you graduated in 2016? Member 1 : Ok, so what were you doing one year? Me : I was preparing for the Gate sir. Member 2 : Ok, Have you given the BARC's test ? Member 1 : From which college you have done your graduation ? Member 1 : and 12th ? They asked any other subject you want to add ? Member 1 : Tell me what you learned about the thermodynamics ? While I was giving answers to the member 1 other started preparing and writing down the question from the subjects I told. Me : gave the answer. Same goes up to the 3rd law. Me : Sir I don't remember the 3rd law. Member 4 : (trying to help me) kiske bareme hey wo kuchh yad aa raha hey ? Me : Sir I don't remember the statement but It's about the Absolute zero temperature. Member 1 : Ok, tell me the name of different cycles. Me : Told Carnot and Rankine cycle. Member 1 : tell me the cycles exists in nature or me make them ? Member 1 : where we use the carnot cycle ? Me : Sir we don't use it in a practical situation as it is an ideal cycle. Member 1 : So what is the use of it ? Me : It is used for comparison. Member 2 : Ok, now can you tell us where we use the Rankine cycle. Me : Sir steam power plant. Member 2 : Passing the paper told me to draw the T-S diagram of the Rankine cycle. Drawn the cycle without the vapor dome. Me : Yes sir, told about it correctly. Drawn all the parts like boiler, pump, turbine, and condenser. Sir asked me about the different phases at a different point, told them with confidence. Member 2 : tell me the temperature will increase linearly in boiler ? Me : No sir there will phase change and at that time the temp will remain constant. Member 2 : so can you show me the same thing in T-S diagram. Then I realised what blunder I made. I asked there said sorry and corrected the diagram. I was having a smile on my face. So silly mistake I have done here. Member 2 : Now tell me if we have two steam power plant one in shimla and one in Mumbai then which one will give more net work output ? Me : After thinking for 2 min told them it will be shimla. Member 2 : Why ? Me : Because the environmental conditions. The presure and temp at the outlet will be low thats why the pressure difference increases and hence the work output. Member 2 : but it will also increase the pump work. Me : Stoped for a sec. But sir as water is having higher density so the work required will not change as much as the work generated by the turbine. Member 2 looked satisfied with my answer. Then He passed me the paper on which he wrote down the question. It was like there are two steel containers, both containing the same gas. One with condition P, 4V and T other with 2P, 2V and T. The atm condition are P atm and T. Both the containers are connected with pipe and a valve. If we open the valve what will happen ? I told them the gas will flow from higher to lower pressure and then equilibrium will be there. Member 2 : Calculate the final pressure. Now it was time for next question. Member 3 passed me his sheet. The question was about the cantilever beam with point load at the end. And two arrangements of rectangular cross section where there. Me : the one with more height. Member 3 : draw SFD and BMD. Then he increased the difficulty by saying that now the beam is having its weight now what will be the diagrams ? He told me to superimpose​ them on the previous one. Next question was from FM asked by member 4. Member 4 : There are two steel plates one is horizontal and one is vertical. Which one will float on water and which will not ? There was a tank full of water drawn on paper and two sheets with dimensions. Me : Depending upon the buoyancy force. Then asked me about how the ship floats over the water. Told him. Then he said there is a weightless balloon inside the water tank containing the same water. What will happen to it ? Me : sir it will remain in equilibrium. Member 4 : If I push it downwards then ? Me : If there is no drag it will be moving continuously. Then he asked some more questions. After that Member 5 starts with my final subject HT. In the question, there were two surfaces connected with a bolt and he told me to draw the temperature variations. This was my experience with the BARC Interview. Thank you for reading and being patient. As it happened 3-4 days ago I remember it clearly so I shared the details so that it will help you. My interview lasted for an hour or so. It was the best interview I ever had. The results are not declared yet. I will update as soon as the results are out ;). After missing the train from Delhi, somehow I managed to arrive at interview venue on the same day of my interview. My GATE 2013 rank (AIR-1244, Score-591) was not good so I was little bit depressed also, as BARC is the only chance which I was having. Interview of my college mate was also on the same day, so I used his room for refreshment. After document verification I went at the battle ground (11th floor of NBH), there my chance came in the second half of the day i.e. around 3 p.m. In the mean time I haven't discussed any question with earlier candidates, as I was assumed that I wouldn't get selected here. They asked me to sit. As I mentioned earlier the I was assumed, not to be selected here, so my mind was free. But a little nervousness is there as it was my only chance for the year. Chairman- You are looking very tired? Me- I told him the story of my missing train. Chairman- Ohk, we won't ask you too much questions, as you are looking very tired. Write down your favorite subjects. Me- I have written, Thermodynamics, Fluid Mechanics, Heat transfer, and RAC. One thing you should notice that I haven't written Heat & Mass transfer. because, my senior suggested me not to write Mass transfer as they ask mass transfer very rigorously. Chairman- Asked one of his committee member to proceed with thermodynamics. In the mean time he was studying my resume, mark-sheet & all. Member-1- Which type of compressor consumes MINIMUM* work? Isothermal, adiabatic, or isentropic? Me- I made the P-V curve, and calculated the area under the curve. Hence proved. 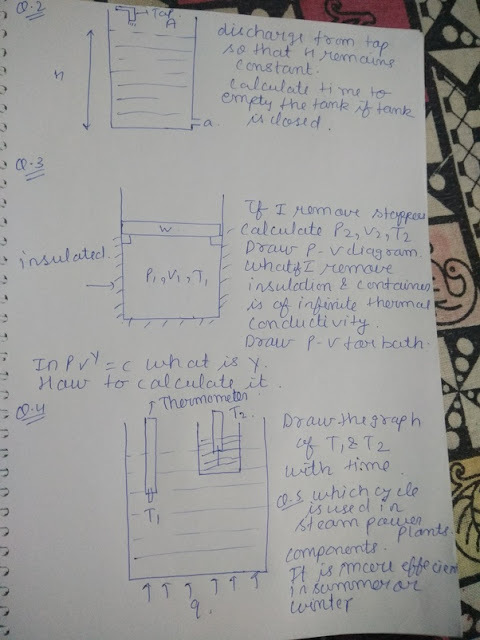 Me- I have taken some time, write equation of 1st law of thermodynamics, then give my answer that in isothermal the work is consumed only to raise the pressure, while in adiabatic, some work has consumed to raise the temperature also. This word gave me too much confidence. Now, I was playing on front foot. After this from thermodynamics various questions has been asked on Rankine cycle and Brayton cycle. Then, comes the heat transfer topic. 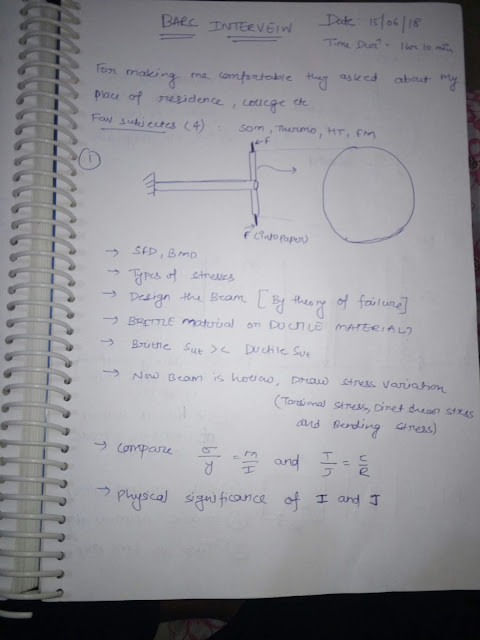 Member-2 was already written some questions on A4 sheet related to temperature profile of a cylindrical body with insulation. I made the profile, in each profile he asked me the reason for that type of nature of the curve, I proved many of them. Member-2 was also asking the questions related to RAC, he asked me to explain the Vapor compression refrigeration cycle. I have explained and also made many mistakes, each time chairman corrected me, and motivated me. My engg project was in RAC, so I explained that also. This gave me some edge. They weren't asked too much from FM, simple questions are there related to buoyancy forces, pipe losses, Hagen–Poiseuille equation etc. Chairman- You have written all the subjects related to thermal only, we want to ask from design also. Member-3 was ready with questions from strength of material. Questions related to SFD and BMD are very important. She asked me to draw the SFD, BMD of various load combination. I have drawn almost all of them. She again asked to draw me the shear stress distribution for I-section, after I made the distribution she added another difficulty that, can we use it like H-section, and also justify your answer. After getting hints and motivation from chairman, somehow I have made some justification. Then comes the question of chairman, he asked questions from shaft design. I have answered all the questions of chairman. Chairman- Ohk young man, you can leave now. It was 4:30 p.m when I came outside. I have spend 1.5 hrs inside and didn't fell that. After removing my tie and folding my shirts, I moved toward the lift for going home. Suddenly, a voice came that chairman is calling you again. I was afraid, because I didn't want to face them again. But, life changing moment was waiting for me. Chairman- Well done Nirmal, you are most probably selected. And gave me the white slip. I was not expecting this. I was crying there. That was the best moment of my life. My hard work paid me. I got very good grades in interview. After submitting some documents in HBNI, me and 6 more selected students of the day were officially visited the barc trombay campus. After all these stuff I called my father and gave him the good news. First he didn't know that I was in Mumbai for interview, then he also didn't know too much about BARC and job related to BARC. Finally, I have boarded the train for home without ticket in general boggy. I haven't slept whole night, as I was not believing that I have got selectd. 1) Don't go inside with too much expectations. As it may bound you. 2) Try to make an honest attempt to all the questions, because these are the questions from your favourite subjects not of the interviewer. 3) They will definitely give you hints whenever required. So try to make something from their hints. They are very supportive. 4) Questions asked by chairman is important, so listen the questions carefully and answer with school level concept I.e don't go in advance level. 5) Don't use unnecessary new terminologies while answering a question, this may lead you into the new topic. Keep calm and play your game. 1) as carnot cycle is not used in practical life then why we are studying this cycle. 2) what is thermodynamic temprature scale? derive its expression from T-S diagram. 3) explain 4-stroke diesel cycle. 4) on T-S diagram at which point you will design the engine and why? 5) whether material properties are dependent on temprature? if yes then how. 6) design the engine cylinder for 4-stroke diesel engine? 7)explain lame’s equation and draw stress distribution for radial and hoop stress. 8) what is radius of gyration? 9) design the flywheel for 4-stroke diesel engine and draw its T-0 diagram. 10) what is tonne of refrigeration? 11) have you seen the pot made up of soil, which is used for cooling of water.How water cools in this pot? draw its process on psychrometry chart. 12) why cooler is not used in mumbai? draw the process of air cooler on psychrometry chart. 13) design air conditioner for this room for summer condition. 15) there is a cylinder of height h filled with water and from the heiht H above this cylinder a mass m is dropped, draw velocity vs time graph for this case. 16) what is terminal velocity? 17) what will be the velocity if u drop this mass in an open ground from height h, when it reaches to ground. 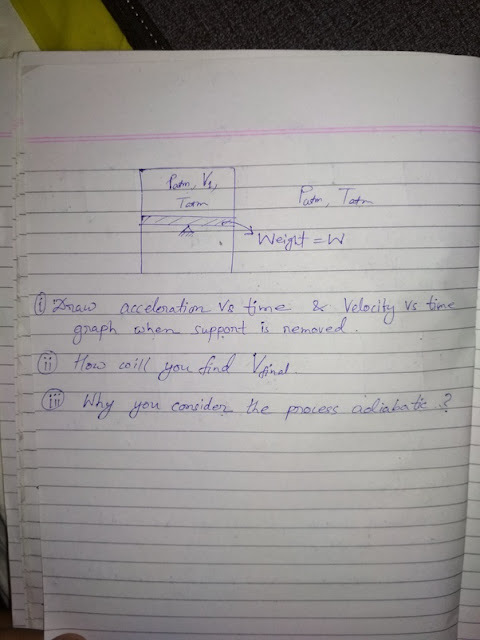 18) the velocity expressionwhich you obtained is independent of mass, whether it means if you drop two different mass from same height, they will reach to ground at same time. 19) draw velocity vs time and acceleration vs time graph for different displacement vs time graph. 20) why aeroplane flies at very large height? 21) what is the need of long runway for aeroplane? 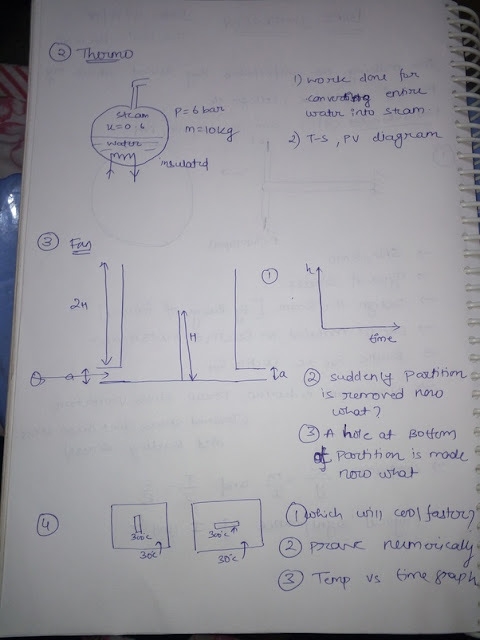 22)draw temprature profile when hot water is flowing in the pipe and there is cold air outside the pipe. 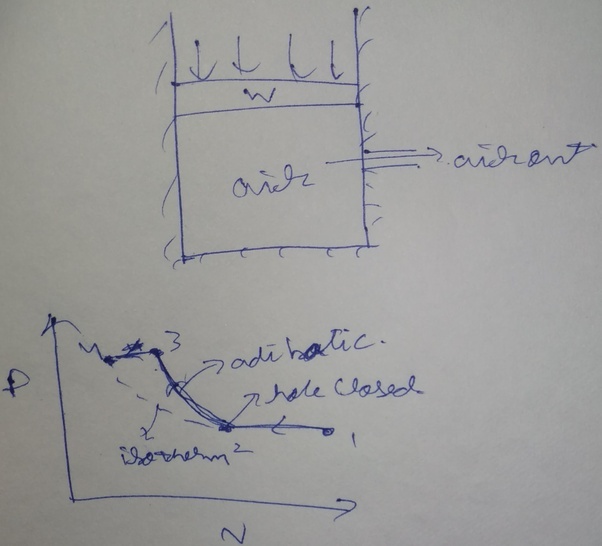 23) draw thermal and hydraulic boundary layer for the same case. 24) what is fully developed flow and if you double the dia of pipe, then upto what length there will be entry length and when this flow will called as fully developed flow? whatever graph you will draw, they will draw the opposite graph and will ask the physical significance for your graph. every next question will depends on your response of previous question, so give simple and logical answer. they are very supportive and will help you, if you are in trouble. they just want to know how far you can think, so if your approach is correct then you will be selected. It will be very long. So please bear with me for next 15–20 minutes. Interview Result: Selected as OCES Trainee at NFC-HWB Hyderabad. Having secured 71 marks out of 100 in GATE 2018 (Mechanical), I received offers for M.Tech from new IITs such as IIT Patna, IIT Jodhpur and IIT Indore via COAP but was still left with zero offers from PSUs. I preferred a job rather than M.Tech at new IITs and hence was rigorously searching for it. 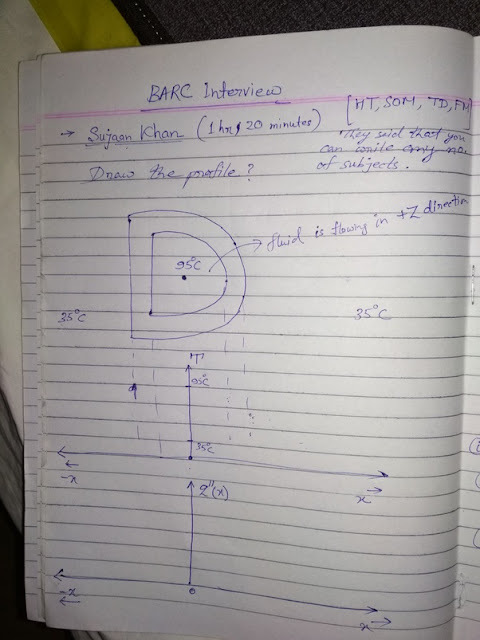 One fine afternoon, just before the day of ISRO written test, BARC written tests were declared and I was happy to know that I made it to BARC interview. But the battle is still not even half won as interview is the major hurdle for selection at BARC. The interview is quite conceptual and the interviewers dig very deep into the concepts till the extent you give up. The motive is to see not how much you know but how much you can think. The interview usually takes place for 1.15–2 hours if your selection chances are high, but there were candidates who were interviewed for 1.30 hrs still got rejected and some were interviewed for 1 hr and got selected. The selection solely depends on your performance during interview. Your work experience, written test/Gate results, your family background, your B.Tech college (even if you are B.Tech from IIT), the formal suit you wore for interview nor your excellent command over English language would give you any edge. You are free to give interview in any language that the panelists understand. My interview took place in English, Hindi and Marathi (and some informal discussion in Sanskrit with one of the panelists). It is here where the future scientists were going to be screened out of large crowd. My interview lasted for 1 hour 20 minutes. Here is my interview experience at BARC. I was the last candidate from Mechanical branch to be interviewed in 2018. I Interviewed at Panel No.2 which had Panelist-1 (P1) sitting to my left, P2, P3 (who was Director), P4 sitting across the table and P5 sitting to my right. Me: May I come in Sir.? P5: Please come in and sit here. Director: Your surname is "Kurkure" or "Karkare".? Director: Is that Kurkure brand somehow related to you.? Me: Sir, one of my distant relatives was working as Product Manager at FritoLay company when it was running at huge loss. It was from his surname that the company decided to launch a new product "Kurkure" in 2000. Director: And the company started making profits.? Director: So, Shreeraj, how long have you been waiting in the waiting room.? Me: Sir, I reported at 11.00 am for document verification which was done by 11.30 am. Since then, I have been waiting for around 5.30 hours for interview. P2: Where you came from? Me: Sir, today is my fast. Director: You passed in 2016. What was your B.Tech College.? Director: Didn't you get job in campus placements.? Me: Sir, the profiles that companies were offering were all sales with a very low salary. So I did not go for it and I decided to prepare for Gate. Director: What did you do since 2016.? Me: I completed 1 year apprenticeship training at HPCL last year and now I am studying and also searching for jobs. Director: Okay, Shreeraj. Now, please take this sheet of paper and write some 3–4 subjects which you are comfortable with in short form. P5: How did HPCL recruit apprentice trainees.? Me: Sir, through written test and HR interview. Meanwhile, I forgot how many subjects did Director ask me to write. I had prepared 5 subjects but before writing all 5 subjects, I again asked Director how many subjects should I write.? P5: You can write any number 4,5,6,7,8,9,10 as you wish. Me: 4. Linear Vibrations in 1 DOF. P2: Okay. Write Vibrations only. Me: (Gave paper back to Director). Director: In HPCL, you must have seen tanks. Director: What are different types of tanks.? Me: Sir for fuel transportation purpose, oval tanks are used. For underground storage purpose, cylindrical tanks are used. For overground storage purpose, spherical and bullet tanks are used. Director: Which is better & Why.? Me: Spherical because hoop stress is less for same diameter. Director: There are 4 reasons for it of which you told one. P2: What are different types of stresses in tanks.? Me: Hoop stress, longitudinal stress and radial stress which can be neglected if tank is thin. P2: What is the formula for stresses in cylindrical and spherical tanks.? Director: Give me other 3 reasons of my question. Me: (After 30 seconds) Sir, for sphere, for same volume, surface area is less so there will be less convective heat loss to surroundings. (After 30 seconds) Also, since surface area is less so less steel is required to manufacture a spherical tank than cylindrical tank. This will save purchase cost and also manufacturing cost. P4: But do you think manufacturing a sphere is easier than cylinder. Me: (Thinking for 10–15 seconds) No Mam. Me: Mam, cylinder can be easily manufactured by extrusion or seamless rolling or by tube drawing process. But making sphere will be difficult. Director: But you just now said that manufacturing cost will be less. Me: Sorry Sir, manufacturing cost will be more for sphere but the advantages we get from sphere like less hoop stress, less convective heat loss and less steel required will be worth the investment. P2: If spherical tanks are better than why are cylindrical tanks used for underground fuel storage purpose at petrol pumps.? Me: Sir, for underground fuel storage, it will be better if we use horizontal cylindrical tanks because for same volume, it is easier to dig an earth pit which is less deep and more wide rather than less wide and more deep or equal in width and depth as required for spherical tanks. P5: Can you derive the formula for hoop stress in cylindrical thin shell.? Me: Drew the one-half of tank. Its front view and side view both. P5: This is First Angle Projection or Third Angle Projection.? Me: Sir, this is Third Angle. P5: Okay. Now derive by integration method. Director: A cylindrical tank of volume 200 Liters is to be maintained at pressure 2 bar by adding water in it. How much mass of water will be required.? Me: (Thinking for 15–20 seconds) Sir, we can use ideal gas equation. P1: We are using water. Not ideal gas. P2: Assume tank is rigid. Me: Thinking for a minute. After getting hints, I solved the problem. P4: Design a cylindrical tank. Me: Mam, thick or thin.? Director: What will be the first parameter you will consider.? Me: Sir, we can design it either on basis of strength criteria or volumetric deflection criteria. Director: Which criterion will you use for storing petrol in underground tank at petrol pump.? Me: We first select material as steel. Its Young's Modulus is 210 GPa. Yield strength is 250 MPa. Then using hoop stress formula, we can find tank thickness. Director: How do you find Young's Modulus and Yield strength.? Me: Sir, from Data Book. Director: And how did Data Book authors find it.? Director: From where did they get stress-strain diagram.? Me: By conducting Tensile Test experiments on Universal Testing Machine. Me: Sir, should I draw stress-strain curve.? Director: Yes and explain all points. Director: How to find Young Modulus and yield strength from this diagram.? Me: Slope of initial linear line is Young Modulus and yield strength is strength corresponding to lower yield point. P2: Why not upper yield point.? P4: After necking, it is failing at lower stress. Why does it not fail before necking at the same stress.? P4: Which stress will you use for designing a beam.? Me: Engineering stress. Because it is easy to measure and also gives conservative values of beam dimensions to designer. P1: For some materials, yield point is not visible. How do you find yield stress then.? Me: Explained proof stress concept. Director: If mild steel is loaded upto point after yield point but before ultimate point, how will it return back.? Show on stress-strain diagram.? P1: Mark elastic strain and plastic strain. Director: (He shaded the area under stress-strain diagram upto yield limit.) What does this represent.? Director: What is the specific name.? Me: (Thinking for 4–5 seconds) Resilience. Director: Is it important.? If yes, where.? Me: It represents energy absorbed by body upto yield limit when external impact load hits the body. P5: What if the external load is applied slowly.? Will it still absorb strain energy.? Me: Yes sir. It will be still called resilience. Director: In which design, is resilience important.? Me: (Thinking for 10–12 seconds) Springs. P2: Explain working of Thermal power plant. P2: Why Rankine is preferred though Carnot is most efficient.? There are 4 reasons for it. P4: (She gave a PdV work type problem and asked to draw P-V graph.) There is a piston having some mass and is in equilibrium inside a cylinder containing gas at some pressure. Now heater is switched on and piston moves up and hits the stopper. Heater is continued for some time after hitting the stopper. Then heater is switched off and large impact force is given to piston to bring it back to its original position. Draw P-V graph and give the name of all processes involved. P5: (Drew an uneven trapezoid with two vertical faces of areas 2A and A and maintained at pressure P.) What are forces acting on two faces.? P5: It means there will be a net force in one direction.? P5: So simply by maintaining the uneven chamber at some pressure it will start moving.? Then we should stop using fuel to run our cars. Me: (Got confused. Thinking for a minute) The pressure P is an average pressure but absolute pressure at different points inside chamber will be different. It will be less near large vertical face and more near small vertical face thereby keeping both forces equal and body in equilibrium. Then P1 started with Vibrations. P1: Since you said 1 DOF, I am giving a very basic problem. (Drew a simple oscillating pendulum.) What is name of motion.? P1: What is so specific about SHM.? Me: Acceleration is negative proportional to displacement. P1: Asked to draw all possible graphs for oscillating pendulum like PE vs time, KE vs time, Total Energy vs time, frequency vs time, Time period vs time, velocity vs time and acceleration vs time. Me: Took very large time to draw all graphs. P1: Replaced the solid pendulum ball with hollow one containing water which is leaking from a hole drilled at the bottom. Asked to redraw all previous graphs again. Me: Drew graphs with ample mistakes. But with their help, I could draw all of them. P4: Drew a container filled with 1 L of water and kept on mass balance instrument. What is the reading.? Me: 0.998 kg at room temperature. P4: Inserted a solid spherical ball suspended from ceiling with string into water without touching walls of container. The mass of ball is also 0.998 kg. Will reading change.? P4: Replaced the string with spring balance. What will be spring balance reading.? Me: Before immersion, it will be 0.998 kg but after immersion, it will decrease. P4: Why and how much.? Me: Because bouyant force is acting in upward direction on ball. It will decrease by amount equal to (water density x g x Ball Volume). P5: So you say that spring balance will read less than 0.998 kg but mass balance on which container is kept will read exactly 0.998 kg.? Me: (Got confused.) With little confidence, said, "Yes Sir." P5: Then where did the difference mass go.? Now, my brain stopped working as I was completely exhausted. The interviewers too realized this from my facial expressions. And they were exhausted too. P1 interrupted and told P5: Mass defect is nuclear engineering concept. He is from mechanical. He must not know it. I roughly knew that mass defect is given by Newton law of chemical reactions E = mc^2 and occurs when mass is converted into heat energy during exothermic reactions. However, I did not tell this as P5 would have started digging into concept and I was not in position to think and answer any more questions. I had lost all my energy by this time. Director: Okay. You can go. Thank You. P5: After you reach home, please see what mistake you made in this problem. P2: We may meet soon.! Me: Said Thank You to all. Results were declared on 28th June in afternoon. 49 students were selected from Mechanical out of 802 who appeared for interview. And my name was at 39th serial number. Now, I am waiting for medical examination and will join BARC on August 1, 2018 as Trainee Scientific Officer. This was my overall experience at BARC interview. Purposely, wrote very long and detailed as possible so that next generation of BARC scientists can understand the significance of BARC interview and get an idea of how it is much different from PSUs interviews. It was an unforgettable experience. Not just the actual interview but the adventure before that. My interview was scheduled on 19th May, a day after my b’day. I had to board a train from Jhansi to CST on 17th may at around 8 PM. The train got delayed initially by around 6 hours. I also had to make a journey to JHS from my hometown Shivpuri, which takes around 2 hours, so in spite of knowing that the train is delayed, I had to depart early. Train kept on getting delayed. I started to receive b’day wishes at the JHS station. Who spends a b’day on the railway station waiting indefinitely for the train. The train finally arrived at JHS at around 11 AM. B’day wishes kept on pouring. I was like… meh… what a day. The train was scheduled to reach Mumbai on 18th May at 4 PM, and all my plans to party after reaching Mumbai started to die. Nevertheless after a total delay of around 19 hours, it finally reached Mumbai on 19th May at 11AM, which was my reporting time as well. I didn’t even shave, nor took bath, thanks to the delay. Changed to formal clothes in the train itself. Since I was familiar with Mumbai, I quickly booked a cab, reached Anushakti Nagar, registered myself and got the last slot of the day. I was like, this is the worse that can happen. Little did I know what was to follow. Tired of 2 day journey, finally I was called in for at around 5:30 PM in the interview room. The panel had 6–7 members. M1: So you are the last candidate, do you feel tired. Me: Sir, I have enough energy to face this interview. M1: What is the meaning of Namit? Me: (initially surprised, since BARC is not known to ask such questions) It means one who is modest, bowed down. M1: What took you two years to reach here? Me: I worked for one year then took a study break for another year. M1: Where did you work and what did you do there? Me: I worked for Thornton Tomasetti, here in Mumbai itself. Reviewed shop drawing for steel structure connections. I immediately figured out from the devilish smile on his face, that I am going to be grilled. Steel was anyways my weak area. M1: What are some types of connections? M1: How do you make a shear connection between two beams if they are different in sizes? Me: (My experience came in handy) Sir, we provide coping of flanges at top and if required at bottom and then insert a shear tab by either bolting or welding. M1: How do we design compression member? Me: Started to answer the standard procedure mentioned in IS Code, the stress reduction factor, the slenderness ratio etc. 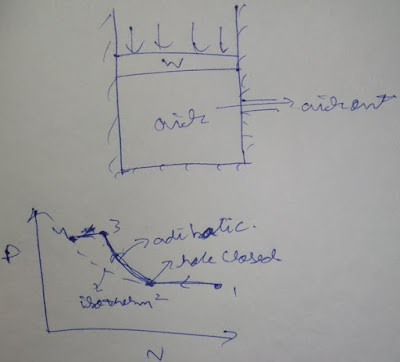 M1: (Interrupting me) Arre kitaabi baatein na karo… basics pe jao… :DAssume a simply supported column and the deflection at mid point as delta and now derive. Me: (initially blank) started with Eigen value solution. Got stuck at the solution of the deferential equation. Tried hard to recall, couldn’t. He kept helping, giving hints, I couldn’t answer. After some more questions from steel and finding out my pathetic condition, asked me lets start with another subject. RCC? Passed on to the next member. M2: Made a overhanging beam on both sides, and a loading on it. Asked me how would I arrive at the reinforcement detail of the beam. The only parameter known was the total length of the beam. Me: I drew BMD, started to answer him, that wherever hogging and sagging is occurring, will provide reinforcement accordingly. Him: No, tell me how will to arrive at the beam size, reinforcement etc. Me: Sir, since the beam is simply supported, by IS Code’s deflection criteria, we will assume L/D < 20 and find a depth and start from there. Him: (Interrupting me) Where did L/D < 20 come from? What is the logic behind the magical figure 20? Me: (Pairo tale zameen khisak gayi) Sir, may be due to large deflection, there may be aesthetic reasons. Him: Iska logic hai, can you guess? Him: accha chalo aage bado.. beam design karo. Me: Sir, then by flexure formula, we will equate tension and compression forces. Another member interrupting (M3): Why is strength of concrete taken as 0.67 fck? Him: Even after applying these two factors, what is the need of FOS of 1.5? Me: Sir to account for the invariability in material proportion, since concrete is heterogeneous. He countered, I don’t remember. I again gave up after several answers. He finally allowed me to finish, cross questioning, which I don’t remember now. They also asked me to draw Moment-Curvature curve and P/M interaction curve. I drew both. They then asked me if I know how is it derived. I failed to answer both. Now they asked another member to ask me from Soil. M4: He draw a retaining wall kind of structure and a truck pushing that wall, asked me derive the weight of the truck required to safely hold the wall with a factor of safety 2. He also provided with friction coefficient. Me: I derived it successfully. He seemed satisfied. M4: He drew a flow net. Gave the length of the sheet pile, asked me pressure at different point in the flow net, both under static and seeping state. After 40–45 minutes of grilling my interview ended. Me: (with a smile) Sir, more than I had expected. I felt extremely grilled. Thought this could be the worst thing one could ask for on his 25th b’day. Went straight to my friend’s hostel. Dozed off straight away. Next day they arranged a surprise party for me. Roamed around Mumbai for next two days, for I love this city and forgot I ever gave an interview. I was like, were they high! SO here I am Writing My Toughest but the best interview experience of my life , BARC. BACKGROUND : I was qualified through written examination , but I was also having 587 rank in GATE - 2018 . So various PSU interviews were also going on and I was having my ONGC interview on 1st June in DELHI , Also I was ESE - 2018 aspirant , So on 2nd june I was having mock test in Made Easy Bhopal. So it was going to be three consecutive days in three different cities. I was excited but also worried because BARC interview is said to be toughest technical interview in INDIA. So I went to MUMBAI , one day before the interview , Stayed in hostel and reading some previous questions asked to my friends , which didn’t helped because questions were entirely different from previous candidate. Next day I went to the document verification , after which we were given a light breakfast and then I was asked to sit outside a room and wait for bell and then enter the room. I was first candidate to be interviewed that day. As I was told to how to do wishing and behave formally in interview I started with a good morning and asked to sit , they said “ make yourself as comfortable as you can , so keep in mind there is no marks for HR. There were 4 members in my panel including one chairman all were having some allocated subjects to ask. MY WHOLE INTERVIEW WAS IN HINDI BUT I AM WRITING IN ENGLISH , SO THAT EVERYBODY CAN UNDERSTAND. Kaha se aae ho? (Where are you from?) Kaise aae ( Which mode of travel) , kab aae ( when did you came to mumbai) , naashta kara ( had breakfast) . CH : You are 17 pass out , were you doing a job or not ? ME : No sir I was preparing for GATE. CH : You have appeared for any interview before. ME : YES sir , ISRO , but not selected in final list. CH : Any particular mistake you have done in interview and you observed. ME : Yes sir , They asked me about optimisation of beam in space and I was confused with the question , so I was not able to answer it properly. THEN STARTED THE MAIN INTERVIEW. PLEASE WRITE YOUR FAVOURITE SUBJECTS , AND THEY SHIFTED A PAPER TOWARDS ME. ME : SIR YOU CAN EXPAND THERMODYNAMICS TO POWER PLANT AND REFRIGERATION. CH : OK , So out of these which is your most favourite. ME : Sir all are same. PLEASE FIND THE IMAGES IN THE END I HAVE ATTACHED. Q.1 ) CH : Consider a cantilever beam shown. CH : Where B.M will be maximum. CH : How will you design this beam? ME : First , we will identify critical sections , then based on type of load we will design for pure bending Rankine theory will be best and for shear plus bending Von Mises theory will be best. CH : What are critical sections here? CH : SHOW Bending and shear stress distribution. CH : If I make this hollow , what will be changes in the distribution. M2 : Please draw clearly and draw adjacently the solid beam also so that we can compare. CH : Which is stronger. ME : For same weight , Hollow is stronger , For same outer diameter , solid is stronger. CH: If I compare two hollow shaft , One is having smaller diameter and large thickness , and other with large diameter and small thickness , but same weight , which will be stronger. Me : The one with the larger diameter because of large Moment of Inertia. Ch : So If make a make a hollow beam of very large diameter and thickness in microns , will it be good design. ME : Sir buckling will take place , localised and direct stress will dominate , but he was asking for more reasons to which I said sorry sir I don’t know. Q.2) M2 : Draw a tank of water and a tap at top ( please refer diagram in Images). What should be the flow rate through the tap so that height remains constant. M2 : Now I closed the tap , calculate time to empty the tank. M2 : Draw the graph between height of water and time. Q.3 ) M3 was ready with his question , he has drawn a piston cylinder arrangement , which is the trade mark of BARC interview. M3: If I remove stoppers calculate P2 , V2 and T2 , which process will be this. ME : Adiabatic and calculated P2 , V2 , and T2. M3 : There is a mistake. ME: After checking values it was wrong , then I corrected it. M4 : Draw the graph of T1 and T2 with time. M4: Are you sure it is right? I said no , corrected , but this time it was not perfectly correct. M4 : OK , i give you a hint there is 0 degree celsius water and 0 degree celsius Ice in a bucket what will happen? I got the hint that no heat transfer can take place between two substances at same temperature regardless of phase and corrected the graph. CHAIRMAN - OK Dubey ji Thank you and interview was over there. DURATION - 1 hr 25 minutes. There were 6 panels for Mechanical Engineering my interview was in panel no. 5. The interview starts with general discussion about where are you form etc for making me comfortable. This was my 2nd time when i was going to appear in BARC inteview. I appared in BARC inteview in 2017 also and I got 99.99 percentile in BARC online test in 2017. Panel was very friendly and supportive. They will also give you hints if you are missing some points. ( Try to recall the concepts through the hints provided by inteviewer) My complete inteview was in Hindi. There is no effect of language on your selection in BARC. They asked me which one is your most favourite. I said sab theek theek hi hai. Q.2. What will be the temperature profile and why the shape of profile is like that ? Q.3. What will be the velocity profile and why the shape is like that ? Q.2. How will you calculate thermal conductivity ? Q.3. What is Rayleigh no. ? What is Grashof No. ? What is Prandtle no. ? Q.4. Proof of Grashof no. formula from Basic definition ? What is beta in that ? What is alpha ? ( coefficient of thermal exapnsion ) What is the difference between alpha and beta ? Q.5. 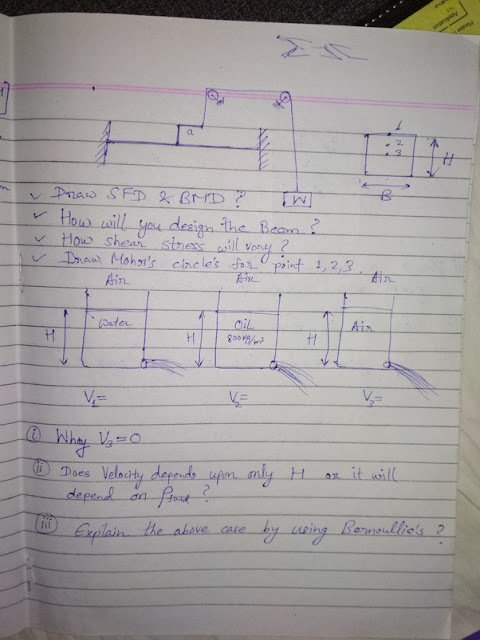 There was an simply supported beam with loading conditions like two point load of same intensity are working at distance of L/4 from both the supports, What will be the SFD, BMD ? Shape of elastic curve ? Q.8. If cross section is Square what will be its (SF) variation ? Q.10. Which one you will choose between solid and hollow cross section and why ? Q.11. On which principal domestic refrigerator works ? Q.12. Draw VCRS cycle and explain all the processes one by one ? Q.14. What is exactly happening during throttling why temperature and pressure is dropping during throttling ? ( I explained them all the reason whatever I know like J. Th. Coefficient , Flow through restricted pass, effect of acceleration etc.) They were not satisfied with my answers. The question was asked to last year in BARC inteview. Till date i don't know what they were want to listen as an answer for this question. Q.15. Air ko as a refrigerant use kar sakte ho ? kyu nahi kar sakte ho ? Value of J. Th. coefficient for air ? Q.16. Ye evaporator upper kyu hota hai fridge me ?? Q.17. Ye HAIER Company hai unlogo ke evaporator neeche kyu laga diya ? Explain ? Q.18. Ek container hai. usme wheel lage hue hai friction less surface pe rakha hai,( mujhe 2D view dikhaya tha ) Container ke ander P pressure maintained hai left side wall ka area 2A hai aur right side wall ka area A hai aur top surface inclined aur bottom surface flat hai batao Container move karega ? Explain your answer with reason ? Result: I got 600 marks in interview out of 1000 and the final selection cut off was 601 marks. I was the first candidate in waiting list, So they offered me the post of JRF later for a period of 2 years but I didn't joined. Note: It is true that BARC inteview is one of the toughest inteview i have ever faced. The reason is that in BARC Inteview they will not going to ask a lot of questions to you. They will ask 2- 3 questions per subject but lots of cross questions will be there based on your answers. You can see in my inteview they were asking “why” almost after each and every answer, so selection of words while answering is very very important. In BARC Inteview generally they will ask 4 or maximum 5 subjects depends on the panel. Some panel will ask for 4 subjects and some are for 5 subjects. So prepare 4–5 subjects thoroughly. It is very rare in BARC inteview that they will ask questions other than your favourite subjects generally they ask question from your favourite subjects only. Please don't choose Production Engineering as your favourite otherwise they will ask you to choose another subject instead of PE, because there is no practical use of production engineering in BARC. Another very important suggestion for Mechanical Engineering students is that don't choose Material Science as your favourite subject unless and until you have read any standard book of Material Science like William D. Callister. I am telling this to you because I told Material Science as my favourite subject in my BARC 2017 inteview. I can't explain my situation when there were asking questions from MS. Never Ever choose Maths as a favourite subjects in interviews like BARC, ISRO and DRDO. Otherwise you will regret later. After entering in panel -1 , there was 4 members with the chairman sitting at the centre.The chairman said sit down.Whole interview was in hindi.He started asking questions about my college.He asked that one of BARC former director is from NIT PATNA.But i said don't know.He said then “Dar lagg raha h”(Are you scared).I said No.He said “Jo darr gaya samjho marr gaya”(All laughed).And asked whose dialogue is this.I said i forgot(As i was nervous) .Chairman said Arrey ye bhi nai aata. 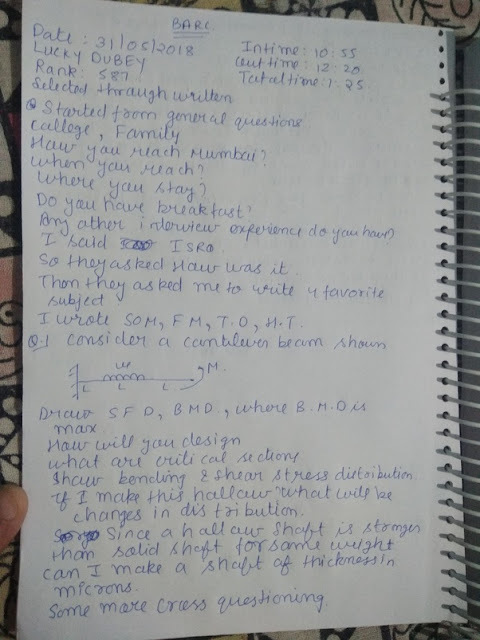 He told that our questions are available on website so you know everything.But i refused completely.He told me to write subjects on sheet after writing HT SOM THERMO FM.I asked how many subject i should write.He told you can write any number of subjects.I stopped on 4 .As i knew they will screw me if i write more. In HT the question was made very tricky by asking how much drop will happen.When i answered with Fourier law.He remained silent. He asked about flux and i answered.After sometime he went in depth and i gave up. In SOM they asked beam design, i said we have to find reactions .He allowed me to do Macauleys method.I did and finally he was closely observing and said yes you have 4 equations and 4 unknowns and it can be solved easily.Now he said to design.He asked me where is critical point ,i said at the ends or at the centre. He said assume at centre. I said we have to draw mohr's circle from point to point to get maximum shear.One member said why you want maximum shear.I said because ductile material will be designed on max. shear theory.After drawing mohrs circle of some points ,in between too many question why you drawn like this.I answerd all.When i used to answer they remained silent.But when i made mistakes they come with counter logic.Now they made me draw shear and bending stress distribution by assuming it as rectangular beam. In SOM they asked nearly for 40 min. In THERMO , they asked velocity and acceleration vs time . I said acceleration variation depend on nature of pressure variation in cylinder ,he remained silent.I was trying but i was not completely sure about diagram ,i gave logic that intially it will be free fall so graph starts with g, but when a member was trying to counter my diagram, chairman stopped him and asked me to draw PV diagarm. I drew and he asked why adiabatic. I said very fast process. Then he asked why are you telling that it will be isobaric after adiabatic i explained by FBD and said during expanding temperature inside cylinder drops and finite temperature difference occurs between cylinder and atmosphere so heat flows inside. He asked me to write equation of curves and he said p=C for isobaric (Are you sure) .I said yes. I don't know why they remain silent sometimes and counter your answer sometimes. In FM i was going shourtcut and made some mistakes and he said don't take shortcut.With their help i explained V=0 in Air case.But not able to explain oil and water velocity. They said you can go now. Interview duration was 1hr 20 min. Which was highest for any candidate in 2nd half that day. But duration is not suriety for selection. M1: (member of interview panel =M from now on) so are you staying at hostel of BARC? M1:did you properly have lunch? They gave me a pencil and an A-4 size page. M1:ok, Ashish now we want you to write 4-5 subjects you are most comfortable in. M1 gave M2 signal to start. M2:ok, there's a bar with load of 3P acting on one of it's side, what will be the stress? M2: we add a force of 5P on other side. Now what will there be stress? M2:will the stress be uniform longitudinally or will it vary? Me: Sir this is a case of dynamic analysis, in btech we have studied till static stress analysis so if I have to go based on that then it will be uniform longitudinally but it might be possible that it varies from maximum at 5P side and minimum at 3P side. M1:but will there be stress at all? Me:yes sir stress will be present. M1:ok Ashish, if I drop a ball from certain height will there be stress when it freely falls? Me: are we considering air drag? Me: Then there will be no stress. M1:then how is this bar stressed? Me:sir, if we consider that same ball falling freely and tie it with an elastic band on top and then let it fall then it is both falling and resisting against the band, in this case there will be stress in the ball since it is resisting aginst something. M3: (draws a tank with one hole at bottom face, one at outlet of vertical pipe attached at bottom face and last also at bottom but on vertical face) what are velocities at each of these outlets? M1:now buckets under each stream at same level, which one will fill first? M2:which one will fill second? M3:what are you trying to do? Me:sir, I am trying to find the velocity of stream just before it gets into bucket as that would give us volume flow rate and as we know volume of bucket we can find time taken to fill it. Me: further using projectile motion equations in x and y axis. M4:(after 4-5 seconds) sometimes analysis is not necessary. Use your engineering sense, which one do you think will fill faster. M2:yes use method of feeling. Me: (after few seconds, trying to feel) I think second hole will fill first. M1:do you think in third hole water has to travel larger distance? Me:yes sir, I get it. M1:Is this the only reason for 2nd stream filling bucket before 3rd one? M1:ok, indicating 5th member to ask question. M5: have you done tensile test? Me:sir, I've not done it because our college didn't had the apparatus, but I've seen videos on it. M5:What does the specimen look like? Me: (drew the shape) the length to diameter ratio is 10:1, lines are marked on specimen at equal interval. M5:how do we measure stain? M5: how is it placed? Me:after some time elongation becomes large enough, we don't need stain gauge anymore and we can measure it directly using these lines. M5: draw stress station curve. Me: drawing and explaining at the same time. They did not get into dislocation theory and luder's band. M2:see Ashish, fracture point has lower stress than what we had even before upper yield point so why doesn't it fall there itself? Me: (thinking for 3-5 seconds) sir the stress what we are showing here is the force divided by original area, actually after ultimate stress point necking will take place and actual stress will increase. M4:what is that stress called? M4:(has a smile on his face) and what is this stress called? the one you have shown on y axis? M3:Now draw the diagram for aluminium. Me: specefic yield point is not visible in stress strain curve of aluminium. M3:how do we know it for engineering purposes? Me: (even though I knew the answer I knew this is a bit high level question that most Mechanical engineering students are not aware of, so I pretended to think and recall and answered in 2-5 seconds) sir there's something called proof stress. Me:sir we draw a line with slope equal to modules of elasticity and having intersection at x axis at 0.02% strain. Wherever this line intersect the curve is our yield point. Tip: see there are two ways of impressing interviewers, either give all the answers you know instantly in which they will keep on raising difficulty level and ultimately you will reach a point where whatever you have studied is covered and now they will ask questions in portion you have not studied and you are forced to think and use your imagination. Or play in area you are comfortable in, just pretend to be uncomfortable, show that you are thinking and the answers are not recorded in your head. Because how far you can think beyond what you have studied is all they want to see. For you 1st law of thermodynamics might be easy and entropy might be difficult, for them everything is easy like A, B, C, D... to you. They just want to see if you are able to think beyond what you've studied. Obviously they also check whether you know your basic subjects well but that part everyone is good at, that is necessary condition but not sufficient. Now I'm not saying that do this pretending thing at every question because then they will see right through it. But whenever you get a chance add it. But for doing this you have to remain calm. BARC was the only interview I had as my GATE 2017 rank was 1825 and I had already dropped an year after btech so pressure was high but I learned to control it. I knew if I have to make it happen tension and worry will not help me and that a calm and composed mind can do anything it wants to. M4: two vertical bars, one with area A and another with area 2A,same material ,fixed at top to a rigid support and at bottom to a rigid bar which remains parallel to horizontal as we apply Force in vertical direction. Which bar will fail first? M4: what are you trying to do? Me: sir, I'm trying to find out stress in each of the bars the i'll divide it with area to find stress, which ever will have higher stress will fail first. M1: but how is that possible? Area of cross sections are different. Me:Sir, forces will be different but area of cross sections are also different so stresses are same. We can see if in another way too, as lower rigid bar remains parallel, strain in both bars are same and since material is both members are same modules of elasticity are same thus stresses will be same in both. M1: there is a pipe with uniform heat flux through out its length, water is passing through it, inlet temperature is 25C outlet temperature is 160C, pressure is 1atm..draw the temperature profile of water? Me: ( thinking for few seconds) ok sir there's a mistake. M1:see, water is entering,what do you think is leaving ? Me:ok, it will become stream till it reaches outlet. M1:which portion will have maximum length? Me: q.x=mc(dT) and q.x= m(LH). If mass flow rate is m, heat flux per unit length is q an x is unknown for each of the tgree portions. We can find x factor r each portion. M1: use the values and find out which lenghth is largest. Me: c of water in s 4.18kj/kgK latent heat of evaporation is 2300 Kj/kgK and Cp of steam( trying to recall for few seconds) sir, I dont remember. M1:ok, compare the first two. Me: x is proportional to c and LH. So second portion will be much longer than first portion. M1: what is triple point? Me: it is the point at which all three phases, solid, liquid and gases exist in equilibrium. M1:what is critical point temperature for water. M1: are you talking about critical point? Me: oh sorry sir, did you ask critical point? Me: ok, critical point is something completely different than triple point, it is the point at or beyond which liquid will dirrectly convert to gaseous phase whithout consuming any latent heat. M1: ok what is critical point pressure and temperature for water? Me: (trying to recal for 2-3 seconds) sir I cannot remember. M4:(drew a structure with conical part on left and attached to it a cylindrical part, like a nail, left side temp. Is 400k,left side it is 300k) draw the temperature profile. Me:(drew curve with increasing slope in left portion and staight line on right portion. M1:draw the curve outside too. Surrounding's temperature is 300 and 400 not the surface temp. Me: ok sir then there will be formation of thermal boundary layer. Me: (drew it) sir natural connection will be taking place. M2:No no draw the temperature profile. M2:what do you think will be the thickness of this thermal boundary layer? Me: it will be small, we can actually feel it if we are physically present near the surface. M2:how thick? Is it in mm or cm or m? M1: if in this stucture(nail one),we drill a hole throughout how will the curve change. Me:it will be like this only. M1: no no, there will be some chabges. Me:sir, the hole is if constant cross section so in left part area is area will change but it is still similar function of x as before. M1: See Ashish, the graph will be similar but do you think slope will change? Me:Yes sir, slopes will definitely change. M1:will or increase or decrease? M1:what is that law called? Me: ( thinking for 5-6 seconds, I was confused between Fourier's law and Newton's law of cooling, taking your time to give correct answer in one shot is always better than speaking quickly and being wrong) Fourier's law. M1: so, increase our decrease? Me: slope is inversely related to area of cross section. As in drilling hole, area decreases so slope will increase. M1: Ok Ashish you can go now. M4: please leave the pencil. Me: (with a smile) sorry sir. M4:Thank you Ashish, all the best. Time and date: 3:15 pm, 29 April 2018. There were 6 Panels. I was interviewed by Panel-2. The panel consisted of 5 professors. It went on for around 1 hour 10 minutes. Panel: Write five subjects of your choice? Panel: Explain the phenomenon of Buckling? Panel: If the phenomenon is more prominent in slender beams then why doesn’t the spokes of Cycle wheel buckle under load? Panel: what is the expression for slenderness ratio? Panel: Draw the load v/s displacement curve for buckling? Me: At starting I was bit confused then the provided hints and then they said that now just vaguely draw what the relation would be. Panel: How does variation of load and slenderness ratio shows up on graph? Panel: What is the value of slenderness ratio up to which the Euler expression gives accurate results? Me: I don’t remember but may be 99 or 100 so. Panel: How bending stress does vary across the cross-section for solid and hollow beam? Me: First draw for the solid then draw for hollow. I got some confused with the hollow one but they provided the hint and I corrected it. Panel: Which types of stresses come to play when cantilever is subjected to transverse loading? Me: Bending, direct and longitudinal shear stress. Panel: What are Longitudinal Shear Stresses and its cause and basic explanation regarding origin of such stress? Me: Sir they are complimentary in nature (to direct Shear). Panel: But what is the cause of longitudinal shear stress? Me: I thought about it for a minute than after that I replied it is due to mismatch in elongation of fibers (not sure about it though). Panel: What would be the P-V diagram for the given piston cylinder arrangement? Me: First I was not able to then they guided me. Panel: What is velocity profile for circular tube and write expression of head loss across the tube? Panel: What is velocity profile for annular tube and write expression of head loss across the tube? Me: It first I start deriving the expression but that it struck my mind that the Hydraulic Diameter will come into play. Panel: What is temperature profile across the length of given cylinder(constant area)? Me: it would be linear as ‘K’ is constant. Panel: What will happen to profile when conductivity is proportional to temperature? Me: sir the profile will be non linear having more slope at the at lesser temperature side and less slope at more temperature side. Panel: Write the expression for time period of pendulum? Panel: What will happen to time period if the pendulum is submerged in ideal fluid (µ=0)? Me: First I thought that nothing will change but after they provided the hint I concluded that the time period will increase as buoyancy will lessen the gravity effect. Panel: What will happen when same is done with spring mass system? Me: There will be no change.